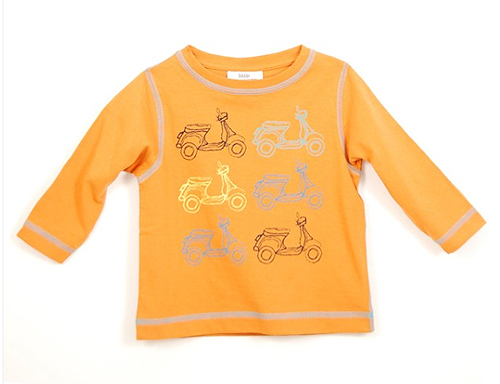 Tori Spelling’s clothing line for children is called “Little Maven” and fortunately for us, it features several garments with scooters on them. 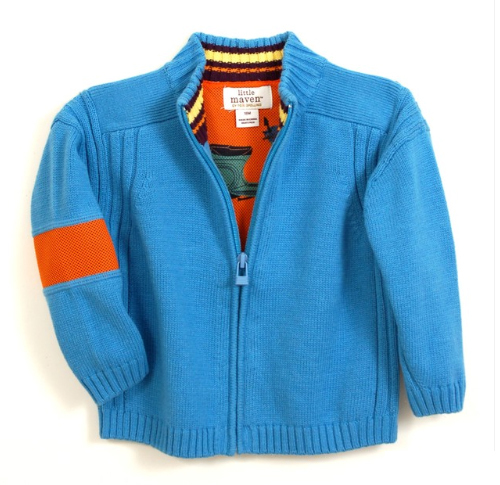 I really wish I could add water to the little cardigan and make it in my size. (Notice the detailed scooter tucked inside.) They’re on sale ($9-$19) so hurry! Thanks to Rosanne G. and Julie G. for this great find. 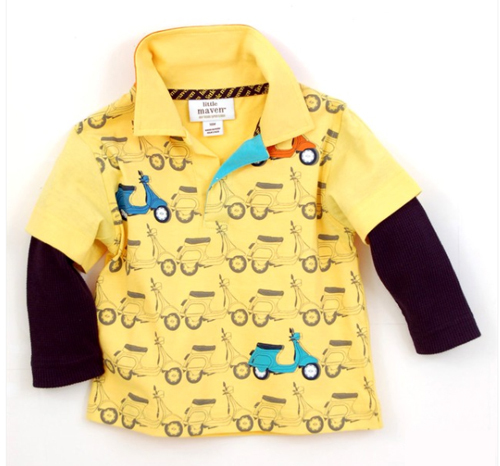 This entry was posted in Clothing and tagged childrens clothing, little maven, scooters, toddlers clothing, tori spelling, vespa by Tracy. Bookmark the permalink.